This entry was posted in Comments about Cycling on February 3, 2017 by Steve Tilford. 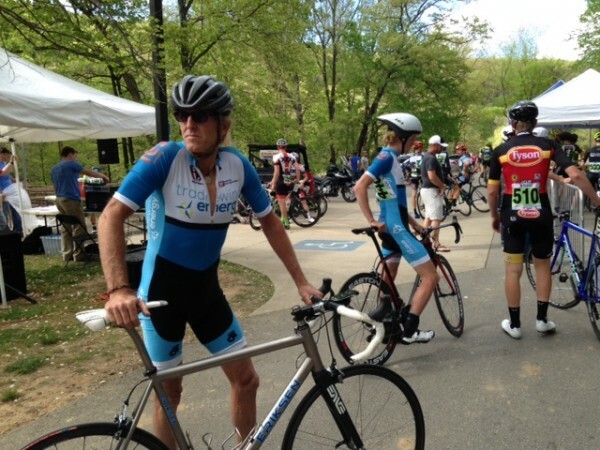 I got an email from Bruce Dunn, czar of the Joe Martin Stage race, in Fayetteville Arkansas, yesterday, and it said that Joe Martin is adding another race for the Cat 1/2 men. The email said that the Elite 1/2 race sold out super quick, so they were adding another race, a 3-stage, 2 day race, for the other guys that still wanted to race. I’m not sure what to think about that. I guess it is great is my initial thought. It is kind of strange racing the same category of race, but not racing the same races. The difference is the “normal” Elite 1/2 race mirrors the Pro race. Which means it isn’t just two days, it has the Mt. Gaylor road race and starts earlier in the week. The new race will mirror the other amateur categories and do the TT, the Hogeye Road Race, then the criterium on Sunday. Both are good races, just different. It is kind of cool when the promotor of a big event adds a race to allow for the overflow of riders wanting to do the event. But, like I said above, it feels a little strange, from the view point of a Elite rider, knowing that you’re not racing with all the other guys in your category, at the same venue, the same weekend. I guess it is the same as when you are racing the 1/2 race and there is a Pro race going on at the same time. Anyway, Joe Martin is probably going to be a little early for me to be racing on the road this year. Maybe not, but from what I’m been experiencing so far, it is slow going and I’m not going to be “taking chances” starting to take chances without knowing it I’m up to the challenge. I did the Joe Martin Race last year. The 1/2 race. I’ve been racing this race for more than 30 years. That sounds scary. Isn’t “anytime” this year a bit too soon to be racing? Pardon me if I’m crazy but how or why does a race ‘sell out?’ Throw a couple hundred guys out there and let’s race like the golden era of US racing. What’s the problem? Enough of this Nanny State “it’s too dangerous….” …in the new United States of Trumpistan we don’t worry about danger, people’s well being or insurance coverage! LET’S RACE! It’s probably a good problem for the Joe Martin race to have. Usually I hear more about the opposite problem: declining participAtion in road races and declining numbers of races offered, at least for USAC events. There was a golden era? Please, tell us more. do like they do in Belgium. no catagories. pay a few bucks to race and race… 50 racers or 180 racers.. dosent matter..
As you said it’s a good thing when they add more races, however they also took away races as well. The Masters are no longer 2 separate races, both 40 and 50 race together now and are separated later. Not an issue really the 1s and 2s are the market for this race, and in years past the Masters numbers were declining. So take away 1 field and create another to take its place. You know, I have fallen in love with the new breed of gravel races. All the cats in one bag, 1 lead moto and one broom wagon. Plan on being self sufficient. Course is 90 miles, 9000 feet elevation gain, mix of pavement and gravel. The selective course separates people really fast. There will always be crits and track racing for the speedsters. Flat, non selective road races have lost their appeal. Plus having lead and follow cars plus neutral support for 18 different categories of racing is a logistical nightmare for the promoter. And cat 1 masters cannot race with other masters. I’m sure for some its a blessing, and for others a curse.